Rep. Brad Witt is introducing a handful of bills aimed at reducing school shootings and increasing school building safety and access to resources. Witt's office outlined five different pieces of legislation Wednesday, Jan. 16, that mostly center around the prevention of school shootings, but fall short of regulating gun sales or gun ownership. House Bill 2289 would establish a legislative school safety task force to assess school campuses for things like metal detectors, entrance and exit routes, alarms and the availability of tip lines for students and staff. Similarly, HB 2290 pushes for the development of "threat assessment policies" within school districts and aims to connect people with mental health services. "I think a safety audit conducted by our school districts would make sense," Witt said Wednesday, noting the bills would also encourage small offices at school sites where police could pop in, file daily reports or conduct basic work, and also interface with staff and students. "It's a community policing concept, where that police officer is not something to be feared," he added. Witt, a Democrat from Clatskanie whose House District 31 includes Columbia County and portions of rural Washington and Multnomah counties, said the specifics of how each bill would be implemented would rely largely on an individual school's needs. Another bill, HB 2291, would allow a couple purchasing a gun safe or gun locking mechanism to receive a $100 tax credit. Individuals who purchase safes or locks would be eligible for a $50 credit. A gun safety training bill, HB 2287, if passed, could prompt school districts in Oregon to sponsor public gun safety training courses. Witt's office says the bills aim to "improve school security, reduce barriers to mental health treatment, enable systematic threat assessments, and provide public firearms safety training." "The security of our children and our classrooms is a state and national concern," Witt stated in a news release announcing the legislation. 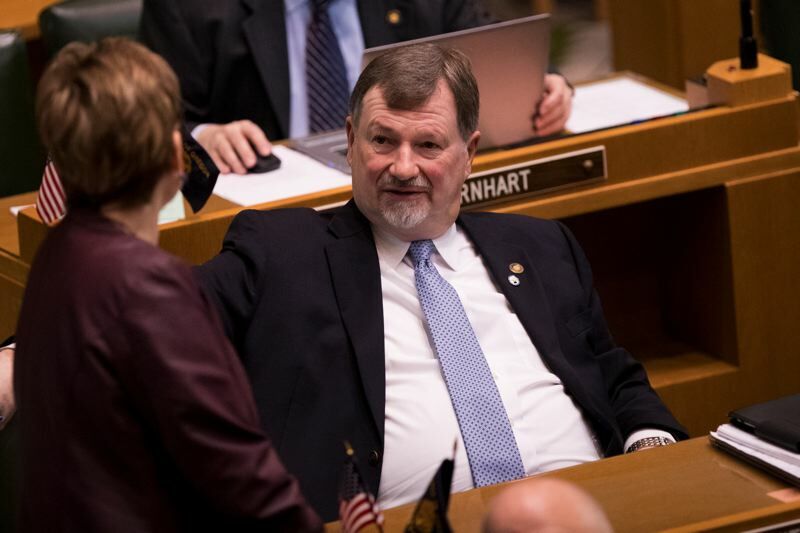 Four months prior to announcing the new proposed legislation, Witt was eyeing a much more aggressive package of bills, saying he embraced efforts to raise the purchasing age for semiautomatic weapons in Oregon to 21 and hamper access to high-capacity magazines. He acknowledged that he's since backed down from those efforts after heavy backlash from some of his constituents. "Everything I was looking at, I ran by my constituents in public meetings," Witt noted. "I found a very high level of disapproval and discontent over the fact that I would even be suggesting them, let alone write them as a bill. The blow-back was quite extreme." Witt is also proposing HB 2286, which allocates funds for children of deceased or disabled public safety officers from Oregon's 529 Savings Network.